As noted above, it’s been a while since I tried to do any serious gaming on my iMac—it was just so bad at it, it wasn’t worth the struggle. I played a bit on my Hackintosh, but mainly I used my Windows 10 PC with its GeForce GTX 1080. So I was quite curious how this new machine would stack up—not to the Windows PC, but to the previous iMac. Could I once again play games on my iMac? I looked at my (aging) games collection, and decided to compare the previously-mentioned F1™ 2012, DiRT Rally, and X-Plane 11. I wanted to look at Doom 3, too, but it won’t launch on the new iMac (Aspyr is looking into the problem). I started with one of my older games, suspecting that there wasn’t much to be gained in frame rate, as the game was two years older than my old iMac. And I was right—this game is so old that it runs fine on both the 2014 and 2019 iMacs. The maximum selectable resolution is 2560×1440, and even with 8x anti-aliasing enabled, it worked fine on both Macs with those settings. And despite being seven years old, the game still looked fine and was fun to play on either iMac. The big difference, though, is that the 2014 iMac is working quite hard to do this—the fans were spinning fast—and noisily—trying to cool the machine as it’s pushing the pixels around. My 2019 iMac handles the same settings with no audible change in fan speed. Note that I only played the game for about 30 minutes at a time, so this may change in longer sessions. So if you’ve got older games, you may not be able to push them to higher resolutions (due to limits in the game), but you may have a quieter gaming experience. I didn’t set any records on that particular stage, unless there’s one for Air Distance Traveled. But back to the benchmarking. 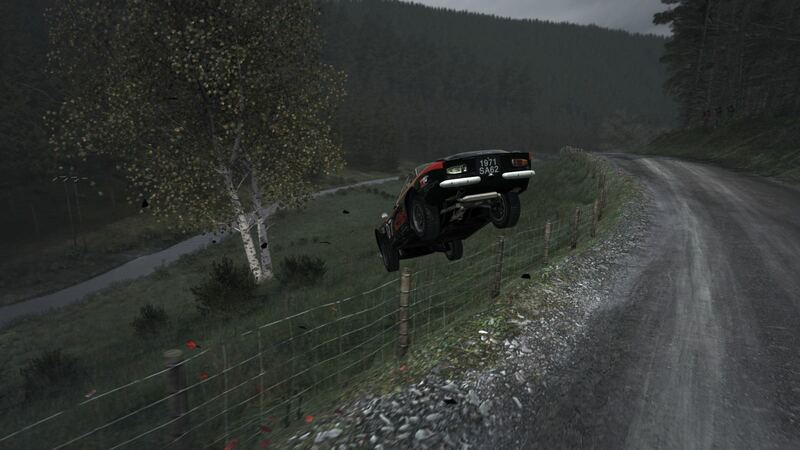 When I let DiRT Rally set the optimal graphics for the old iMac, it ran its built-in benchmark test at right around 60fps. The same happened when I tried on the new iMac—60fps was the average. It appears the game sets its optimal configuration with Vsync enabled, which is why the optimal settings on both iMacs came out at 60fps—the game can’t go any faster with Vsync enabled. And because the game runs full screen, it’s hard to tell exactly what resolution it’s using. Thankfully, GRiD Rally exports two files after each benchmark: A CSV file with the time (in milliseconds) required to generate each frame (where lower times mean more frames per second), and an XML file with a summary of the results and details on the settings. 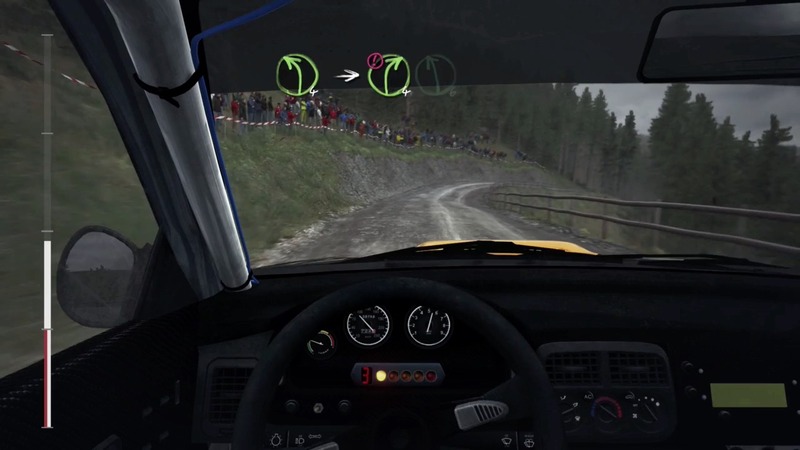 When I looked at the XML files for each iMac, it seemed that DiRT Rally wasn’t really pushing the new iMac’s capabilities all that hard—the graphical settings didn’t vary much from those on the 2014 iMac. To see if I could get more out of the game, I opted to override the optimal settings and tweaked things manually, increasing resolution and graphics features until the average frame rate dropped below 60fps. I did all of this (unintentionally) with Vsync engaged, so the maximum frame rate I’d ever see would be right around 60fps. So consider the last column “best configuration with Vsync enabled,” which is not the same as the “best configuration with Vsync disabled” (see below). With Vsync off, I can run at the same “best with Vsync on” 2048×1152 resolution, but with much higher frame rates (84fps average vs. 60fps average) and never dip below 60fps minimum. Alternatively, I can bump the resolution to 2560×1440 with the average still above 60fps and the low at a still-acceptable 50fps. There are pros and cons to disabling Vsync; this article summarizes them quite well. I’ll experiment as I play and see if I notice a lot of visual issues with Vsync off. After I’d re-done this testing on the new iMac, I ran one more test on the old iMac: I matched the new iMac’s quality settings, disabled Vsync, and ran the benchmark at 2560 x 1440 resolution—just to see what it could do at the new iMac’s resolution and quality level. The new iMac simply crushes the old one—the 2014 edition can’t even hit 25fps average on this test. Impressive. 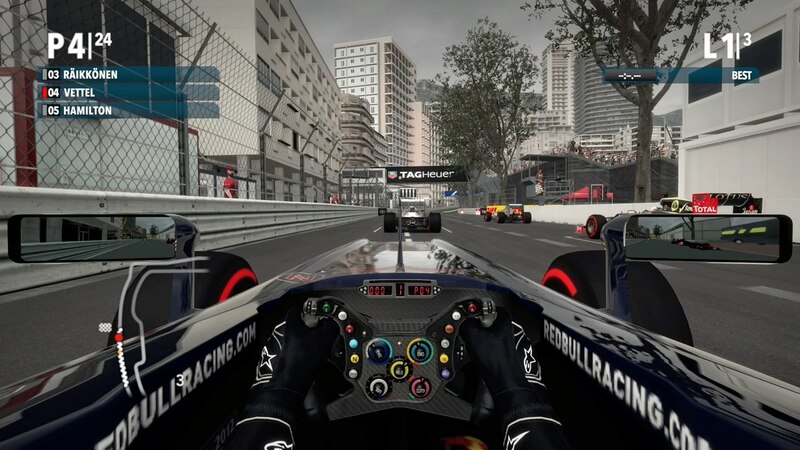 The downside to running with these higher resolution and quality settings is fan noise—unlike F1™ 2012, the new iMac is working hard at these quality and resolution settings, and the fans are spinning and audible, though it’s only really loud when the game isn’t making racing game noises. Despite the fan noise, I was having so much fun testing this one that I’m pretty sure the newly-released DiRT 4 will be soon added to my collection. 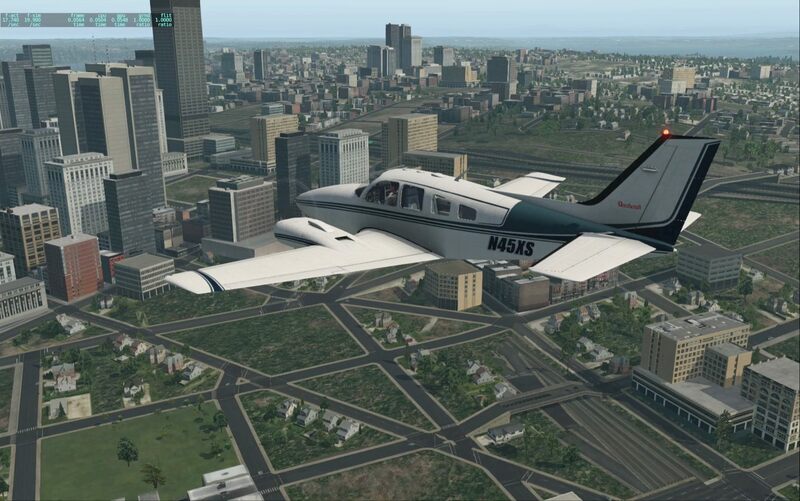 In years past, X-Plane has been my most-used diversion on my Mac…that is, until X-Plane 11 came out, with its much higher demands on the video card. I tested it on my 2014 iMac, and it really wasn’t playable with decent quality settings. So I’d fly on my Frankenmac, using the GeForce card. Needless to say, I was anxious to see how X-Plane would work on the new iMac. As you can see, the graphics are much smoother on the new iMac (there’s some frame rate hit due to the recording, too). There’s still a bit of jumpiness, but it’s much more tolerable than on the old iMac. Even better is that the minimum frame rate stayed above 20 the whole time, even when the scenes got complex—trying to fly at nine frames per second on the old iMac was quite the challenge. Downsides to the new iMac? This will sound familiar, but it’s fan noise. (The old iMac’s fans crank under X-Plane, too.) If I’m flying while wearing headphones, or flying something loud, it’s not really an issue. But flying a glider, for example, with the fans cranking is a bit annoying. Still, given the fans ran fast and loud on the old iMac at its much lower frame rate, this is a worthwhile tradeoff. The iMac Pro has been completely redesigned on the inside, with the space reserved for spinning hard drive configurations in standard iMacs replaced with a new fan system that’s quiet and efficient. For comparable levels of work, such as a video export from Final Cut Pro X, my iMac Pro is nearly silent and the iMac emits a constant buzz of white noise. For me, though, as I spend most of my time not gaming or working in video, that $2,350 represents a whole lot of money to spend on silence under load. And those saved dollars will pay for a lot of additional games. Still, there’s no denying that you’ll hear the fans when you push hard on the new iMac. For me, the cost savings with near-iMac-pro levels of performance are worth it. You’ll have to make that decision yourself, though, based on your budget and tolerance for fan noise. Now, if you’ll excuse me, I have some games to play real work to get done.